A brand new reader series featuring two unlikely friends! 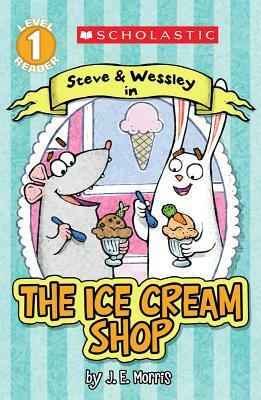 Steve really wants an ice cream cone, but he can't seem to figure out how to get one...until Wessley comes along to the rescue. Readers will love being in on the joke as Steve struggles to get what he wants. This hilarious new reader series introduces Steve and Wessley, two friends who always seem to get into the silliest situations!